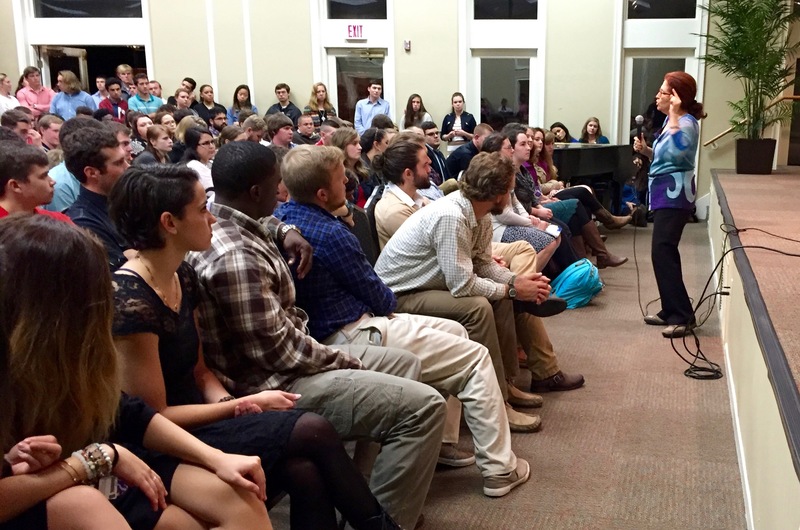 North Greenville University – standing room only! Voices of the Generations was presented to an audience of 500 students at North Greenville University, South Carolina, on Tuesday, November 3. Thanks to Paul Thompson, PhD, Dean of Humanities, for hosting the event. 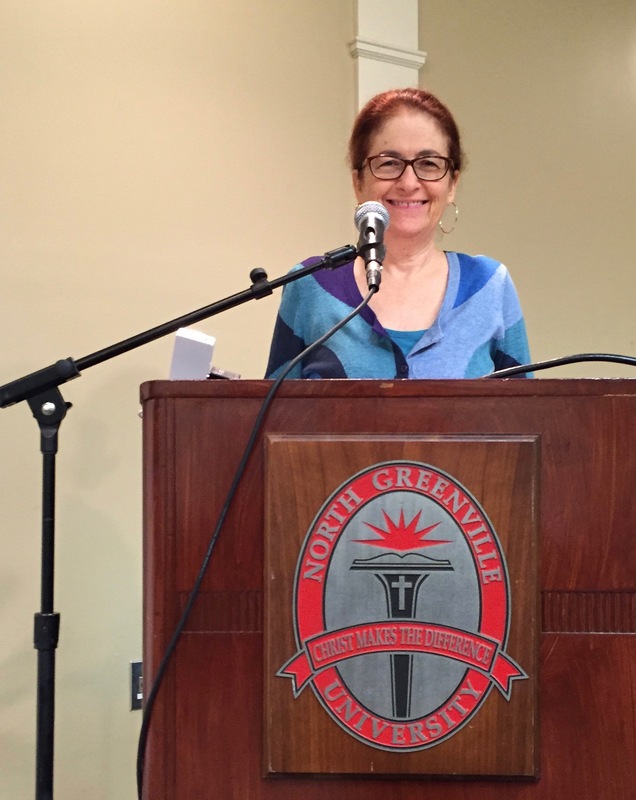 Julie Kohner, Founder and CEO of Voices of the Generations, speaking to almost 500 students at North Greenville University, South Carolina.